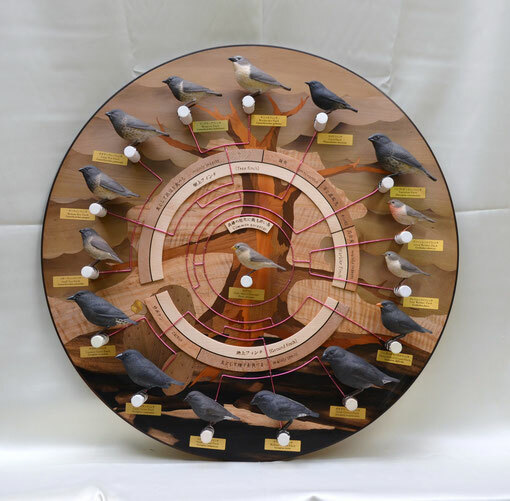 Welcome to my world of Bird Carving and Wood Inlay. Please enjoy my two worlds. I will be adding more on the pages in the near future, being very busy with wearing "two pairs of straw sandals". 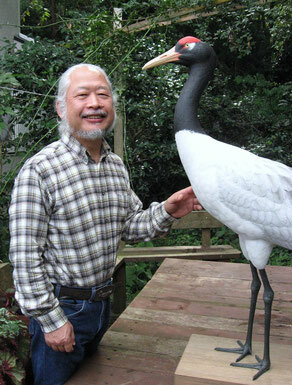 Left: the decoy of Black-necked Crane which I made for the King of the Bhutan. My latest work of the Family Tree by wood inlay, with bird carvings of the Darwin's Finches.